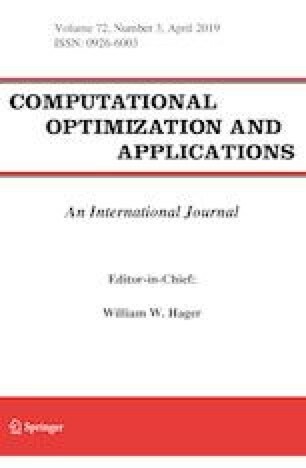 In this paper, we propose a new optimization algorithm for sparse logistic regression based on a stochastic version of the Douglas–Rachford splitting method. Our algorithm performs both function and variable splittings. It sweeps the training set by randomly selecting a mini-batch of data at each iteration, and it allows us to update the variables in a block coordinate manner. Our approach leverages the proximity operator of the logistic loss, which is expressed with the generalized Lambert W function. Experiments carried out on standard datasets demonstrate the efficiency of our approach w. r. t. stochastic gradient-like methods. This work was partly supported by the the CNRS MASTODONS project under Grant 2016TABASCO.